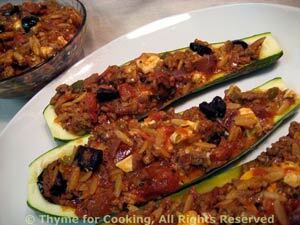 Zucchini Stuffed with Orzo and Feta, Thyme for Cooking gourmet menus. We can hardly let zucchini season pass without having one more stuffed version. For a twist I added some black olives and feta. 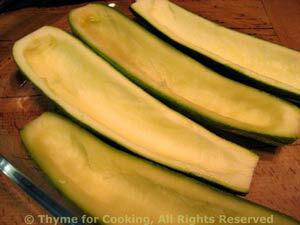 Baking the zucchini 'shells' first helps them get cooked through and shortens the total time. .